View Poll Results: weekly speed modeling?? topics will be anything, robots, anime character, cartoony characters, human heads, architechture, and other various thems. i know too many ppl do not post here so this forum would be ideal for weeekly speed modeling session. anything u can come up with will be fine, plus it will be a great tool to aid modeling and learning more about maya's tools. Last edited by vladimirjp; 20-02-2004 at 05:07 PM. 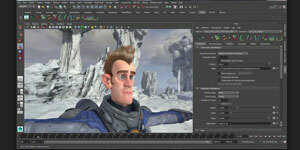 cgtalk.com already has one, why not just try it out therE? I was just stumbling over this thread. I´d also like to do speed modeling sessions. Is the suggestion to give everybody 2 to 3 hours during (for example) every friday to see what they come up with from a set theme? this is a very old thread. i dont think too many would participate. it would be just a waiste. "Speed modeling- week- 01/21/06 - Antique Phones"
everyone would post their work kin the same thread. we can give it a go starting next week. Last edited by vladimirjp; 16-01-2006 at 05:34 PM. even if it where just some of us, I think it would be fun enough. after some weeks maybe others will have taken notice about and number of participants might increase. I go with your suggestion on the details vlad. Matt, the phone thing was just as an example. so we'll give it a go on friday. this will last from friday-sunday. a winner will be announced sunday evening. i think on the weekend people has more time on their hands to doodle and practice, so this should fit most schedule for those who are willing to participate. sounds excellent! And can we use like, for me 3ds Max, and for you, XSI? Apart from just Maya?